One of the reasons why I personally, joined Keller Williams after almost twenty years at a large, well-known brand in real estate is that the Belief System was very much in line with mine! 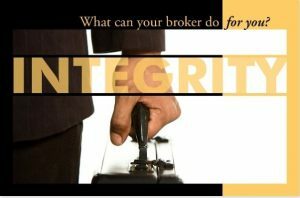 To have a long-term career of helping people with their real estate needs your business model should have “integrity” at the top of the pillar, in my opinion. 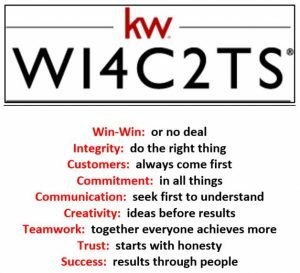 Keller Williams has a written belief system that is taken VERY seriously and is the reason why I believe that Keller Williams is a company of like-minded people who also believe in following this belief system. If YOU are a like-minded Realtor who also has a strong belief in Win-Win: or No Deal, Integrity: Do the Right Thing, Customers: Always come first, Commitment: in all things, Communication: Seek first to understand, Creativity: ideas before results, Teamwork: Together everyone Achieves more, Trust: Starts With Honest and Success Results Through People! We would love to hear from you!